I am scared of rejection. I like being liked and approved of, especially from those I care about. 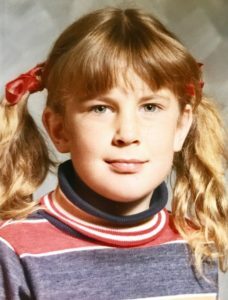 So, in writing about my childhood I am scared that my brothers and sisters will reject me. I am scared that they will call me and yell at me. I am scared that they might leave nasty comments on this blog. I am also scared that they will all get together and talk about me, which has happened in the past when I tried to speak up. But, my childhood is my childhood. I lived through it. I have my interpretation of events, which is the only point of view I can have. I can pretend that things didn’t happen. I can not talk about things that did happened. And I can go along with the stories that my mom gave us to distract us from the truth. Sure, I can do all that. And when I think about it, I have done all that. And in doing that, am I closer to my brothers and sisters? I have 5 siblings and I only text with one sister on occasion. That is it. My other sister called me last year to tell me that she didn’t approve of the way I handled myself when my mom passed away, even though during that time 2 years ago she said she supported me. She scolded me for being ungrateful and selfish, and she said that I was such a bad person that if my daughter was in the hospital that I wouldn’t care. So, I have not talked to her since. I am not mad at her, I believe that she is hurt due to our parents abuse of us, and I am hurt too. I am trying to find a way to reconcile the feelings of both love and hurt that I experienced around my parents. So, me pretending that my parents weren’t abusive does not work for me, and has not gotten me closer to my siblings anyway. And me not being truthful about my past has only hurt me. Every time I think about wanting to talk or write about the abuse my parents inflicted on me, I have physical reactions of wanting to run somewhere. My legs literally get an adrenaline rush and I need to stand up and shake them out. Or I will sit down at my computer to write about it and my mind will go completely blank. I will just have absolutely nothing to say. My mind fogs over when I try to put into words the trauma I experienced as a little girl. I just have snapshots of events that happened to me. For instance, I remember thinking when I was about 5 years old that my legs were the strongest part of my body and that if I laid on my back and kicked really hard, that that was my best chance to fight off the person that was attacking me. But, you know what I don’t remember is who was attacking me. It is a complete blank. I appreciate that my mind had the ability to not show me who that person was, because I wouldn’t have been able to handle it at that age. I have been to therapy and talked about my past. I have told my husband about my past. But then I have gone on with my life and put my past away in the fog. My childhood has always been something I talked about in seemingly dark rooms with select people, or that I handled by myself by writing in my journal or reading self help books. I have never fully reconciled that person that I was as a child with who I am now. I feel like all that happened to someone else, that I am almost split into two people. I was not allowed to talk about any of it when I was a child, or severe punishment ensued. When I brought these events up to my mom she said I was crazy and would talk about me to my brothers and sisters and get them to all gang up on me. In later years, I discussed this with my oldest sister and she confirmed that the abusive events did happen, and that made me feel better. It made me feel like I wasn’t crazy or imagining things. But, I don’t expect her to heal me, that is not her job. I need to heal myself, and in healing myself I have to say what happened to me from my point of view, and what I experienced because that is all I have. So, in coming forward with my truth I fear that I will lose my whole family, and also lose any hope of reconciling with them. But you know what I have realized, is that I have already lost them. And also I have realized that I never really had them. I never had a family. It was just a group of people abusing each other and trying to survive. I became a resourceful soldier, and learned how to get what I needed. When I left my parent’s house at 22, I never asked them for anything ever again. I got a job on my own, I got my own apartment, paid my own rent, and started my life. I did the best I could. I started to lie about my past because I thought that if the people I met realized that no one was looking out for me that they would see me as an easy target. So, I made up stories about how my parents that lived an hour away would come visit me, and looked out for me. Or, I would just avoid the topic altogether. When I met my husband he saw right through all of that. He understood me. I didn’t have to pretend anymore. He saw the real me, and appreciated the fight I had been through and respected and admired me for it. I moved to another state with him hoping to escape my past. But I couldn’t. It was in my brain, in my heart, in my soul. It was in every cell of my being. It was and is who I am. I can’t pretend it didn’t happen. I can’t pretend it is not a part of me as hard as I try. So, if I am rejected for writing about it now, it’s ok because I have already rejected myself for years. 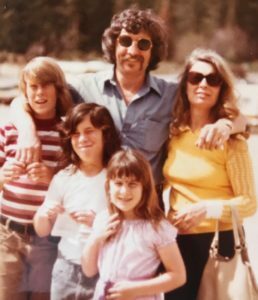 I was born into a family that made me learn how to handle rejection and move forward anyway. I have the skills to handle rejection. But I am making the decision now to no longer reject myself. This is my story, with no blame or judgement, it is my life. You are very courageous. Thank you for sharing your truth with us.